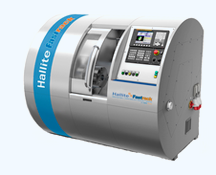 The Hallite PCA is a double-acting piston seal that performs well in both high- and low-pressure systems. 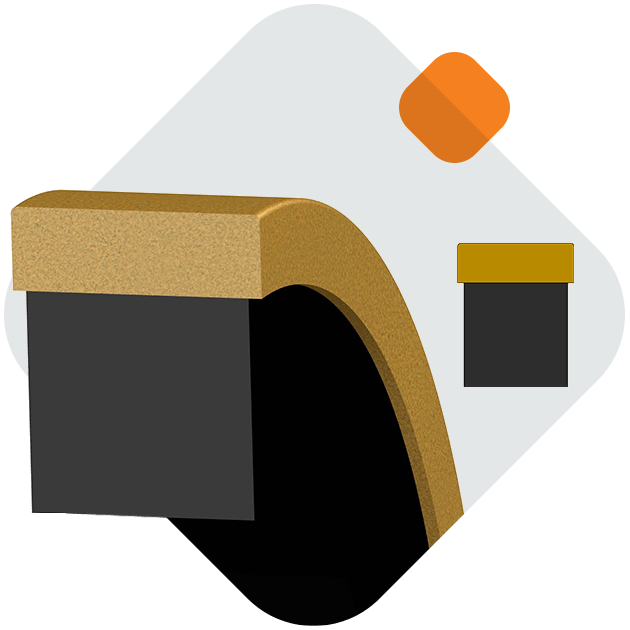 The PCA has a square edge design on the primary sealing face paired with a square elastomer energizer. The square ring provides more stable pressure loading to the PTFE face ring, therefore it provides exceptional sealability throughout the pressure ranges. High-performance Armorlene® materials, like HLX, provide outstanding wear and extrusion-resistance properties as well as large range of temperature and media compatibility. The Hallite PCA seal is well-suited for a variety of hydraulic and pneumatic reciprocating applications. 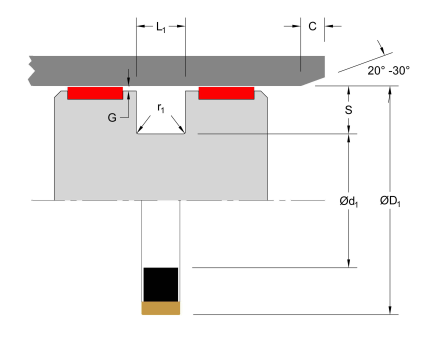 The compact housing allows designers to use a narrow-width piston, but it is recommended that proper guidance be used with this seal, especially in heavy-duty applications (see Hallite Bearings section). The PCA seal is available in a variety of Hallite’s high-performance Armorlene® materials to suit a wide range of demanding applications. 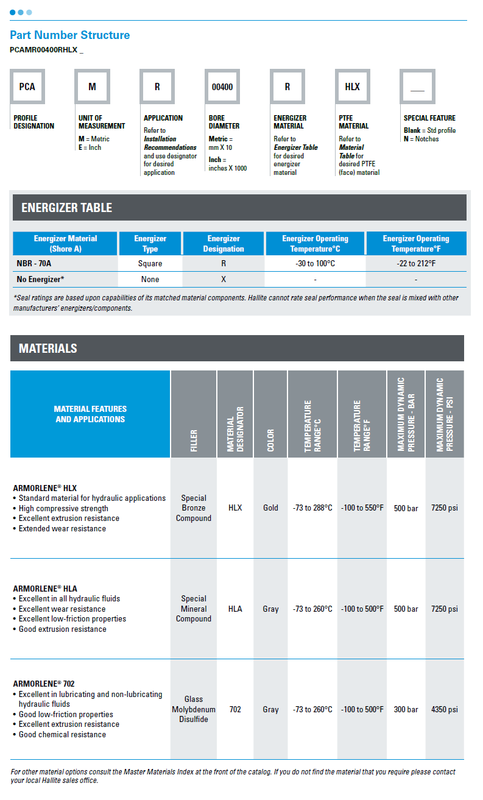 The part numbers listed below only show standard material options for both the face seal and energizer, where applicable. For a complete list of the material and energizer options along with part numbering structure, please see the complete PDF datasheet or click PCA Data Tables.